Households spending slowed to its lowest annual growth for six years in 2017 amid a squeeze from Brexit-fuelled inflation, with borrowing surging and family savings slumping to a record low. Figures from the Office for National Statistics (ONS) confirmed economic growth slowed to 0.4% in the final three months of last year, down from 0.5% in the third quarter as weaker household spending took its toll. The ONS revised up growth for the year as a whole to 1.8% from the 1.7% previous estimate, but this was still the lowest since 2012. The proportion of total income saved by households dropped to 4.9% in 2017, its lowest level since records began in 1963, the ONS said. 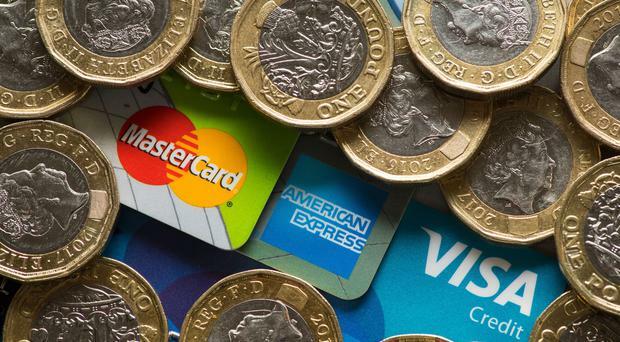 Overall household spending fell last year to 1.7%, which was the lowest annual growth since 2011, according to the ONS. But there was some cheer in the latest official data dump as figures revealed the UK's current account deficit with the rest of the world narrowed to £82.9 billion or 4.1% of gross domestic product (GDP) in 2017 - the smallest gap since 2011. This came as a growing world economy boosted the earnings on foreign investments. In the fourth quarter, the current account deficit shrank by more-than-expected to £18.4bn, or 3.6% of GDP, down from £19.2bn in the previous three months. Net trade - exports less imports - made its largest contribution to full-year growth since 2011, the ONS reported. Economists said there would be some relief on the way for households as wages are expected to start rising faster than inflation, which should help maintain growth in 2018. But the Bank of England has already warned over a Beast from the East hit to the first quarter of 2018, which could see growth slow to 0.3%. Howard Archer, chief economic adviser at the EY Item Club, said this would only be temporary, with a bounce back to 0.5% in the second quarter likely. "Growth in 2018 should be helped by the squeeze on consumers easing as the year progresses with earnings growth firming and inflation easing back," he said. "Agreement on a Brexit transition arrangement should also be supportive to business investment. "However, ongoing uncertainties over the future trade relationship between the UK and EU will likely still limit the upside for investment."